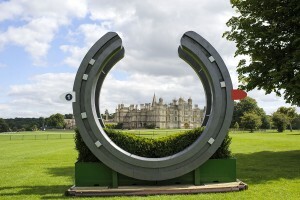 The final big international 4* event of the season in the UK - Burghley Horse Trials. Every year, I keep saying, I must go - I know, I can't quite believe it either that we haven't been - & based in Lincolnshire, I don't have a real excuse for not going there & back in a day!! With over 160,000 visitors across the four days of competition, Burghley Horse Trials is evidently a popular event to head to as a spectator. Equally, it's highly popular with the world's best combinations, averaging 80 each year to battle it out for a piece of the £250,000 prize fund. Burghley Horse Trials originated almost by accident in 1961, when the Marquess of Exeter heard that the 3-day event at Harewood was being cancelled due to an outbreak of foot and mouth. 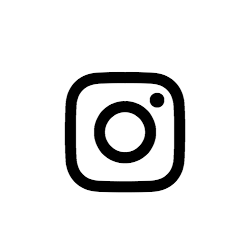 But its history is by no means an accident, holding the FEI European Championships in just its second year of running, as well as playing host to the World Championships in 1966 & 1974. It has since gone on to host numerous European Championships, both senior level and young riders - it hold the title for staging the most Championships. The event even has a royal European Championship winner - the young Princess Anne took the title back in 1971... It's definitely an event of royal stature! 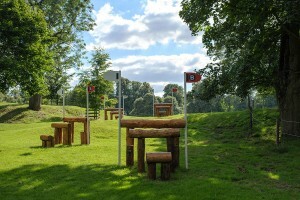 Current cross country course designer, Captain Mark Phillips is just one of six designers in the horse trial's 56 year history, having started the annual task back in 2005. 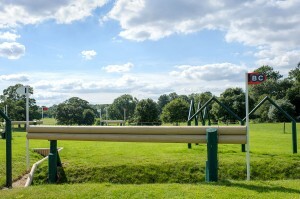 Even the ever popular commentator, Mike Tucker, has had the privilege to design the course that runs through the Elizabethan parkland, doing so in 1997 & 2001. While William Fox-Pitt holds the title for most wins at Burghley Horse Trials, it is perhaps Andrew Nicholson who is most synonymous with the event. Not only has he clinched the title five times, but he holds the title for the most completions - a whopping 35 times!! Not to be forgotten is the equine champion of Burghley - Avebury, who was sadly put to sleep in September 2016. Across his career, he won three times, with his latest in 2014, but perhaps the record should focus on that the duo won the title for THREE consecutive years; 2012, 2013 & 2014. Burghley Horse Trials clearly is the place to hold records as it saw Pippa Funnel win the Rolex Grandslam of Eventing back in 2003 - something which has never been repeated since! 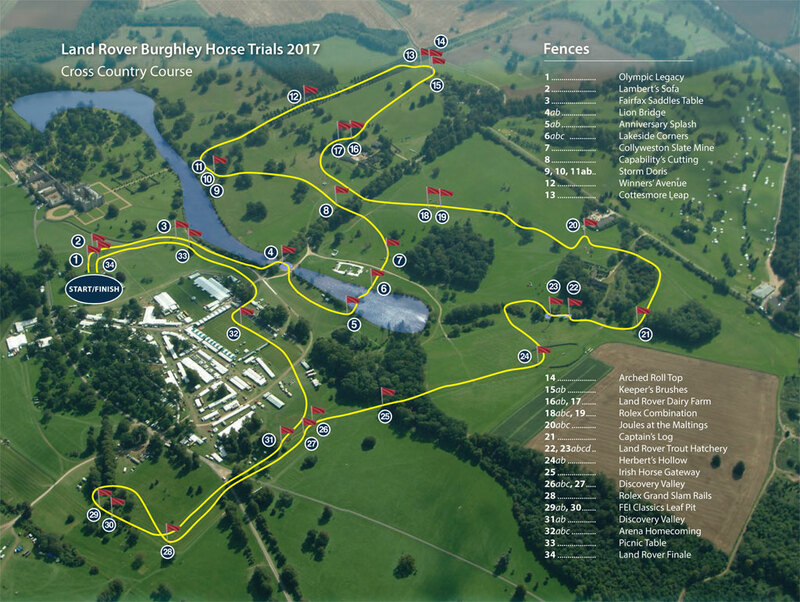 Similar to the 2015 & 2016 courses, the route will run clockwise around the parkland. As combinations set out on course, the first two minutes have been designed to help settle nerves, with jumping efforts over the Olympic Legacy fence, Lambert's Sofa & Fairfax Saddles at three. The Lion Bridge at four comes up early and has a reasonably short approach which will require concentration and care as combinations jump it and head down the slope, into the water. This year's Anniversary Splash at fence five has become much less forgiving in the 'b' element, replacing the brush into the water with a hanging log. At fence fix, riders have to make their first big decision - the risk of a HUGE right handed corner, or the far slower alternative. There's even an exceptionally slow route as a second alternative! have been added at the lake in front of the house. There's a couple of routes through here with the more simplistic direction taking a little longer. 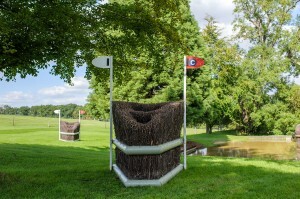 I'm pleased to see that the fence dubbed 'the world's most scary fence' - Cottesmore Leap - remains in the course. Safe and secure, we'll never have to jump anything like this!!! This also marks the start of a more difficult part to the course - being quickly followed by the Arched Roll Top, and a new Keeper's Brush. But it doesn't give up there... Riders are presented with a choice of gates at they head through the Land Rover Dairy Farm at 16 & 17, before arriving at course designer Mark Phillips' most difficult complex on the course - the Rolex Combination. I believe this is the most difficult complex on the course. 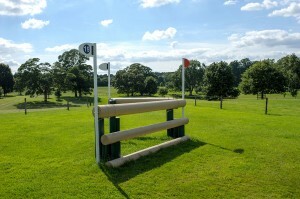 For the brave, they have an Oxer with four forward strides to an angled rail over a ditch and then another four strides to a big open Corner. Many may think an ‘S’ bend with five and five strides is more prudent and then there is an even more time consuming route on the left side. None are easy and we will see many different stride patterns. With a couple of choice at fence 20, before a let up fence at 21, riders need to be on their game at the Land Rover Trout Hatchery, with some straight forward brushes first, but then a decision to make! 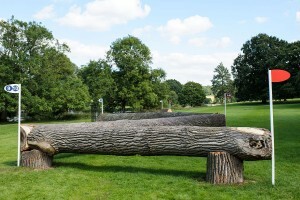 Do you take the route to a big log followed by not one, but TWO very narrow triple brushes, or the simpler four jumping efforts but adding time to your run? 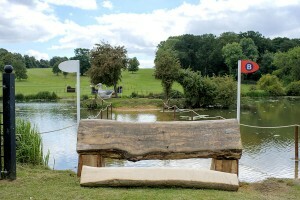 With a couple of questions coming up at fence 25, 26 & 27, some may opt for the easier option at Herbert's Hollow (24). There's been a big change at the Marsh Leaf Pit with the quickest route requiring a jump over a big cabin, before the MASSIVE descent and then onto two very narrow triple bars on a tight bending line. It will be interesting to see how many take the left hand route, and how many decide on the right. Riders and horses can't lose concentration at this point, with a combination to tackle in Discovery Valley, and they'll still need some energy to make it up the hill & through the 10-minute mark as they head to the Arena Homecoming. 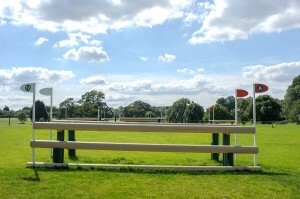 The final two fences should allow horse and rider to enjoy the final gallop in front of the house and over the Land Rover Finale. Before the action starts, make sure you check out all the action from 2016 over on Burghley.tv!! There's lots to check out - rider round ups, cross country reviews, previews & analysis of fences, as well as a full analysis of 2016's winner, Christopher Burton. 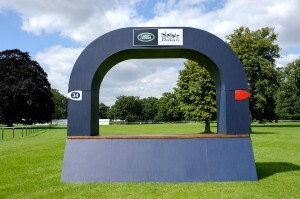 Sunday 3rd September - Showjumping day, with competitors taking to the main arena between 10.30-12pm & 2.30pm-3.45pm. There are displays throughout the day, with the BSPS Sports Pony Classes taking place in the second arena. You can see the full drawn order here, but for a quick glance at who's where, read on! Tina Cook has been drawn first with her 12 year old bay gelding, Star Witness. She follows later on Billy The Red in 40th. One of my favourites, Harry Meade has been drawn at 11th with Away Cruising, with Andrew Nicholson taking an early run in 6th & 7th. I'm super excited to see Ludwig Svennerstal in the entries and drawn order with his horse Balham Mist! Michael Jung and La Biosthetique Sam FBW are in at 25. Zara Tindall is out in 50th with High Kingdom, closely followed in 53rd by Izzy Taylor riding Trevidden. We won't see Mark Todd until very late on with his Leonidas II, as well as Tina Cook's third ride, Calvino II. Oliver Townend completes the 80 strong field with Ballaghmor Class. 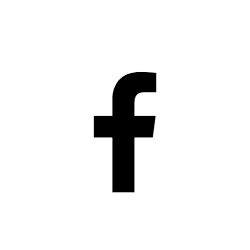 Find out what the world is saying as the action happens - be sure to follow Bughley Horse Trials Facebook page. 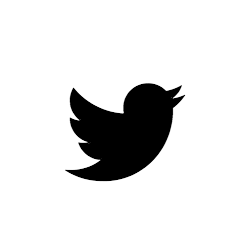 Or, if you prefer, take to Twitter and follow @LRBHT_Official and use the official hashtag in your own tweets, #LRBHT. Most of all, make sure you enjoy all the action as it happens! 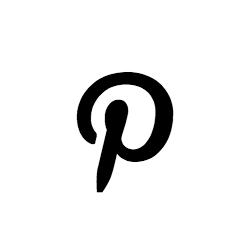 Don't forget to Pin this post for others to find out all about Burghley Horse Trials!! This looks to be a must attend event for equestrians! I would love to attend one day as an observer, definitely not as a rider. That cross country course looks intimidating! I'll be happy to photograph it thank you very much. Yes, I'm not so keen to jump them either...but happy to photograph them!! These jumps look so awesome and scary at the same time! Would love a day playing around in that course, though! Ah I'm sad not to be going this year as we are away. I've been going since I was little and first took my daughter when she was only a few weeks old! It's not only incredible to watch the horses, the shopping is amazing too.